We’ve put together some of our best money saving tips and savviest ways to help you save time and money. 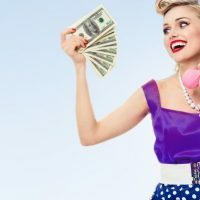 Saving money can be a challenging task for anyone, especially for us women who have too many demands on our time and constantly juggling conflicting priorities. 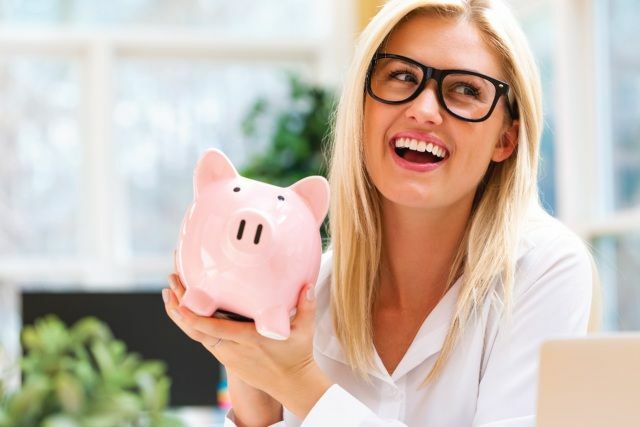 However, we must remember that saving money is an important part of becoming financially stable, and in these tough times, there are numerous ways that you can manage your money and cut costs without drastically altering your lifestyle. As the saying goes, “time is money” and “money is energy”. 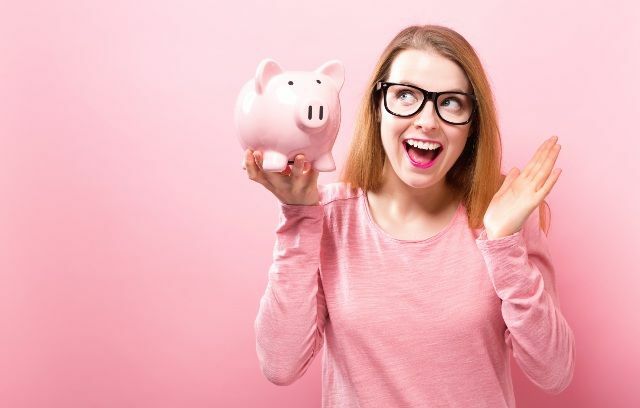 We’ve put together some of our top money saving tips and savviest ways to help you save money, time and energy, so you can have more time and energy to make and save more money. Financial success begins with creating a spending plan you can stick to. Life can be so busy and it is easy to lose track if we are not focused on our financial goals. Therefore, it is so important to have a plan in place for your money. Take the time to sit down and actually write out a budget or spending plan. 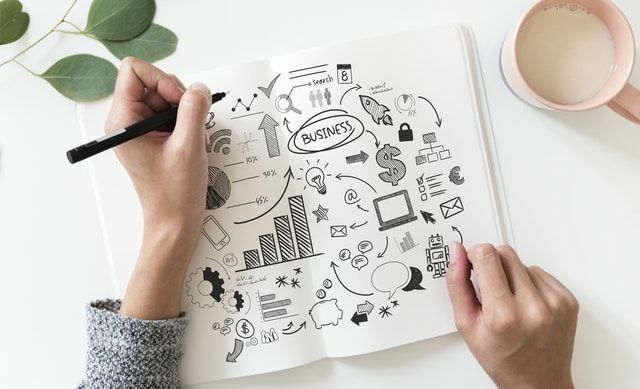 When you see your finances in black and white, you may be pleasantly surprised by how much money you really have – or you may realise that you’ve been spending more than you need to. There is no right or wrong way to budget your money. The most important thing is that you choose a personal budgeting method that suits your lifestyle. 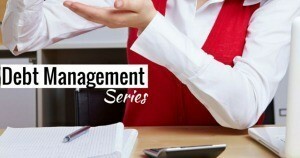 And don’t forget, every month is different, so be sure to review your budget regularly and make any necessary changes. Financial goals are those things you want to have, do and experience that cost money. 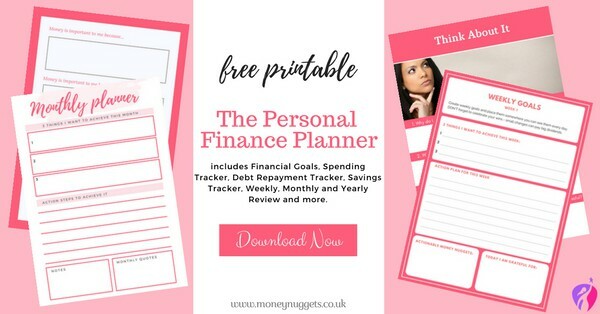 They help you direct your time, money and energy in turning your dreams into reality so you don’t get caught up in the day-to-day expenses. 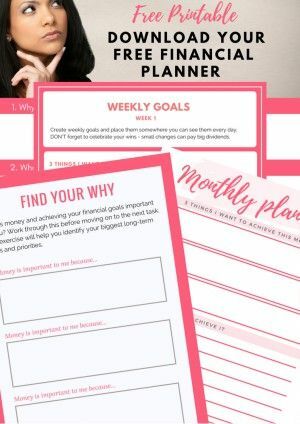 Whether you want to buy your own property, start your own business, build wealth, travel around the world or simply have some savings in the bank, the first step is to set clear, inspiring financial goals and then put them into action. A brilliant plan without action is fruitless, so create an action plan to take you from where you are to where you want to go. Make your goals specific and measurable because vague goals produce vague results and specific goals tap into the power of your subconscious. For example: By the 31st of December 2018, I will have invested £3,000 by investing £250 each month. This is the quickest way to protect your money from frivolous expenses and save. When you get your salary, pay yourself before paying any bill or expense. Open a separate bank account and deposit this money. You will receive great pieces of money advice in this post. 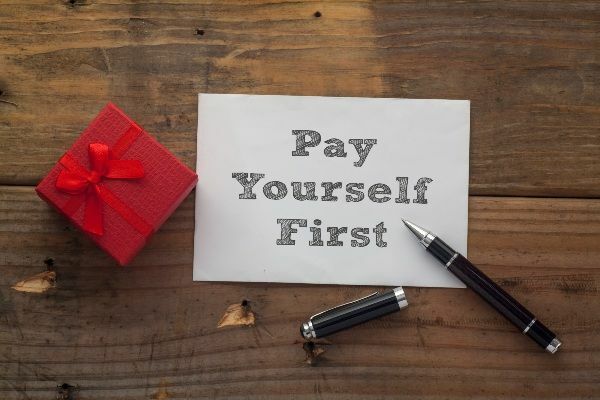 However, if you only take one piece of advice on board, I hope it will be this one: Make sure you pay yourself first. Nothing will help you build wealth or achieve your financial goals until you decide to pay yourself first. Nothing! Not even the best book on personal finance, this blog, a motivational speaker or a get rich quick scheme. Truly, I have been there. And when I discovered this method to financial freedom, my financial situation began to change. A great way to pay yourself first is through automatic savings. Set up a standing order to put some of your income in a savings or investment account as soon as you get paid. Then you can forget about it while it accrues interest for you. Start small and start today. I started saving just £5 and then gradually increased that amount in due course. Over time, it will become a habit. Do not build up interest charges for late payments. Paying your bills on time will help you save money from unnecessary fees. The best way to avoid late payments is to set up direct debits so that your bills are automatically paid when they are due. Many companies offer discounts for direct debit payments, especially when paid annually. The best time to start saving and investing is now. If you are not investing, you are wasting a tremendous opportunity to save and grow your money so that your money can look after you in the long term. If you normally spend whatever is in your bank account, and are too lazy or disorganised to save, try the Plum app for a few weeks and watch your savings add up effortlessly. Check out our Plum review here. If you hate saving, I want you to adopt the mentality that money is a seed that needs to be planted and grown into a tree that you can nest in the future. Henceforth, focus on how you can grow your savings (seeds) through investing. If you learn how to invest and see your money growing, saving will soon become a habit rather than a chore. Did you know that you could start a regular savings plan from as little as £50, or with Fidelity. Capital at risk. No money to invest? No problem. Even if you don’t have a lot of money to put away, there are awesome Robo advisory companies where you can start investing with as little as £1. Wealthsimple offers a flexible investment solution with no minimum amount. So yes, that means you may enter the investment arena with just £1. If you want to invest in individual companies, simply put your money into a savings account, research and learn more about investing; when the market crashes, voila! The shares go on sale and your little savings will buy more shares. Furthermore, you can save money on your investments by buying passive investment funds rather than active funds. Don’t forget, the most important thing is getting started and the best time to start is today! Starting to save early also gives your money more time to grow. Don’t fall victim to identity fraud. The time taken to resolve these issues can be very stressful, time-consuming and better spent managing and growing your money. 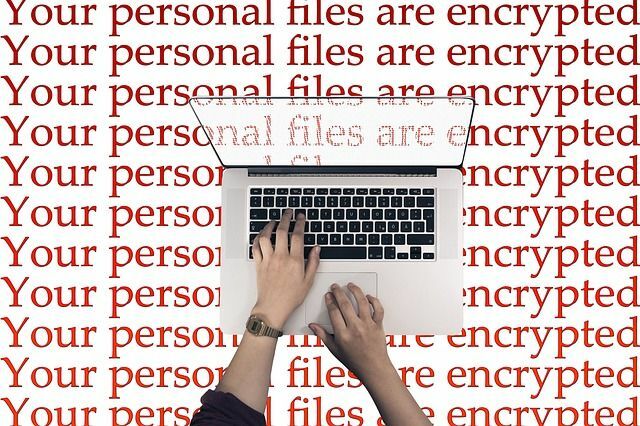 If you suspect your identity has been compromised, report fraud quickly to ensure you get your money back. Beware of little expenses as they all add up over time. Unconscious spending is one of the reasons many of us never become rich and it could be the very thing hindering your financial progress. With just a little planning and self-awareness, you can transform your relationship with money and become a savvy spender. Do not insist on only buying branded products, in most cases, they cost more than non-branded products for the same quality. If your bank balance is in red, look for ways to boost your income or cut costs. Just by being more aware of your outgoings, you can save some extra cash towards achieving your financial goals. What you track increases and what you ignore dwindles. One of the quickest ways to save money is by tracking your expenses. By simply tracking and paying attention to where your money is going, you will be amazed by how much you will save and you can start looking out for opportunities where your money could be better spent. In addition, by keeping an eye on what you’re spending, you can spend without worrying because you know the important stuff is taken care of. Hey, we’re all guilty of trying to give our sluggish morning selves a boost with a convenient caffeine fix, but a simple and rather unflashy Costa Americano will set you back almost £2. For £4, you can buy yourself a pot of Millicano that makes over 40 cups, and make yourself a quick cup to drink on your way to work. Treat yourself to a stylish portable coffee cup and start saving! The temptation to replace your wardrobe every time an event comes around can be overwhelming, but in reality, there are lots of lovely outfits in your possession. If nothing you own tickles your fancy anymore, then how about hosting a clothes swap night? You’ll be surprised at how many friends think your trash is their treasure, and you’re bound to nab yourself a new, trendy outfit you love in exchange for something you never would have worn again. If you’re going to a special event, why not rent a dress rather than buy one? Sites such as girlmeetsdress.com and www.vinted.co.uk allow you to sell your own clothes and then buy or swap with others. Alternatively, www.uk.freecycle.org is a great place to search for free items and get rid of unwanted stuff of your own. 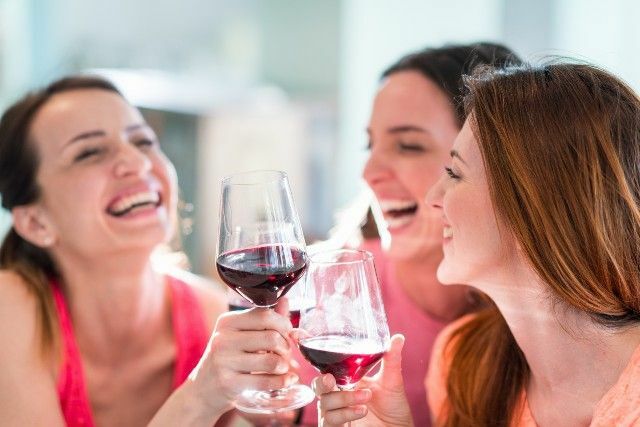 Social occasions can be a real drain on your financial resources if you are not careful – when you include a new outfit (unless you’re swapping, of course), drinks, dinner, etc. – so try and avoid going out and stay in instead. Think of all the times you’ve splurged on something you didn’t need, never wore, or regretted the week after. The solution? Start a jar! If you’re tempted to buy something, put the money for it into a jar and wait a week. If in a week you still can’t live without it, get it. If seven days of thoughtful consideration leaves you no longer longing, keep that money in the jar and let it build up. Don’t forget to give yourself a well-done pat on the back! If you believe a jar is too old-fashioned or inconvenient, set up a savings account or secondary bank account with the same purpose and simply transfer that money over. If you’ve got an old jar or piggy bank, place it somewhere prominent in the house and drop your spare change into it. All of us have small change lying around. If you put it in your wallet, you tend to spend it on fripperies — chocolate, magazines, lottery tickets, etc. Instead, get into the habit of taking any change out of your purse at the end of each day and put it into a money box or coin jar. Even adding just £5 of change per week equals £260 a year. One of the best money saving tips I have ever received is to wait a day before making an unplanned purchase. When you find yourself considering a significant purchase, investment, or other financial expenditure, walk away and get out your notebook. Make two columns – one “Pro” and one “Con” – assigning everything you can think of about your potential decision to one of the columns. Be sure to include emotional comments like how it makes you feel. The following day, review your list. You’ll gain insight into what your motivation is and be better equipped to determine whether or not you’re making a financial choice from an emotional place. Emergency funds are an absolute necessity! An emergency fund can help you prevent financial disaster and free you from the perils of unexpected emergencies and expenditure. It is one of the best ways I know to take control of my finances. Stay far away from credit cards and eliminate day-to-day money worries. Emergency funds should be kept in a separate savings account to be used for unexpected life events. Aim to save at least £1,000 and gradually work your way up to at least 3 months’ worth of living expenses. Financial literacy is key to financial success. It helps you make smart financial decisions about spending and investing. Financial ignorance can lead to very poor and costly financial decisions. Educating yourself about money will save you years of expensive money mistakes in the long term. Life is short. Don’t be lazy about educating yourself. Beware, procrastination is one of the biggest roadblocks to financial independence. Be proactive with your financial life by taking the necessary steps to learn about money. Hire a financial planner if you need one and make sure you continue to invest in yourself and in your financial future. Don’t try to learn everything at once. First, identify one area of personal finance you would like to understand and learn about it until you are confident in that area. Commute time is one of my favourite times to listen to podcasts and read books about money. Whilst you’re here, add us to your inbox and receive our regular tips and advice on being money savvy! 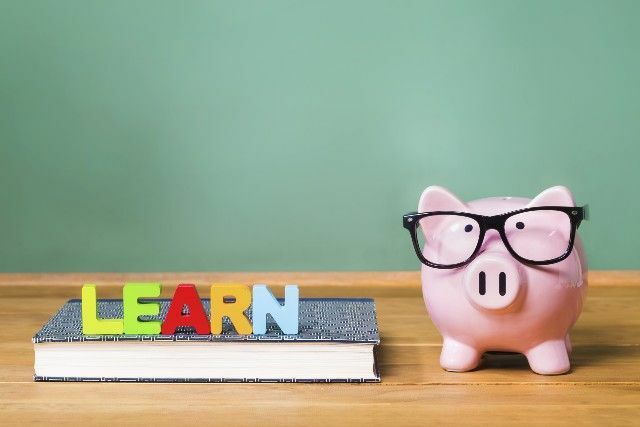 If you aren’t into self-education or have a complex financial situation, why not get some structured financial advice from a professional and learn some investing and expert money saving tips in the process? An outsider can sometimes help you put your financial worries into perspective. There are great money experts who can help you with a tailored plan that suits your finances and your life. Check out our handy guide on how to choose a Financial Advisor. How can you round up what you spend but still be saving money? The app automatically rounds each payment you make up to the nearest pound, and then invests the spare change via a tracker fund. So, every time you buy a coffee for £3.20, you’ll be saving money as the additional £0.80 will go straight into your investment account. Women are notoriously poor at haggling and it’s something we rarely do. 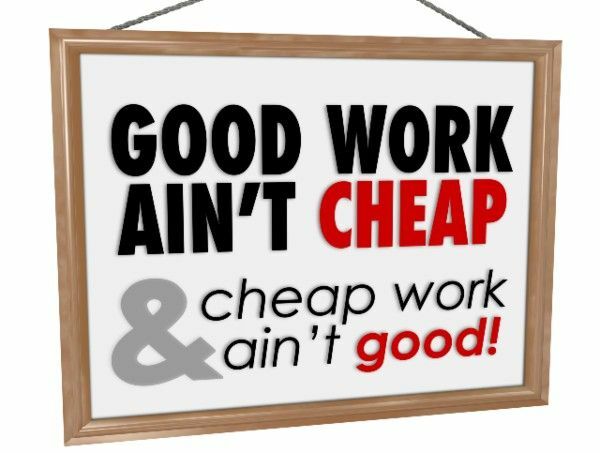 But the reality is that everything is negotiable and plenty of companies are able and willing to give you a discount on what you buy: all you have to do is ask! It doesn’t hurt to ask and you never know—they may just grant your request! Plan ahead, ask for a pay rise, work out how much you can get off the ticket price, and put the pennies you would otherwise have spent into your savings account. What is false economy? False economy is simply buying or paying for something that costs less in an attempt to save money but results in more money being spent over time. For example, buying cheap shoes or cars can be a false economy. The car is twice as likely to break down and cost you more money. Avoid false economies at all costs. I have fallen prey to this way of spending and it has cost me dearly. For example, I have fallen prey to Multi-buy, trying to save money by not having an insurance, buying cheap clothes, shoes and a cheap car in an attempt to save money, but in the end, I paid twice as much. Eating out every so often adds up very quickly. It’s cheaper and healthier to eat in, so avoid costly restaurants by cooking for yourself. If you enjoy concocting recipes in the kitchen, invite friends over to sample your meals, you get a night out while being in. 23. Switch Suppliers and Save Big. Credit cards: You can’t switch to save but you can balance transfer. Can you get a better deal on these things? You could save hundreds in the time it takes you to sort out a cupboard. Paying for things on store cards is a risky business. If you can’t pay the money back quickly, the interest rates can be eye-watering. Our advice? Resist the initial allure of an introductory discount and avoid it at all costs. You must beware; a store card is a form of debt. Store cards tend to charge a higher interest rate (APR) than credit cards, and are thus one of the most expensive ways to borrow money. What is bad debt? Bad debt is any debt you have incurred or are incurring that is not making you any money. Bad debt can cause money worries and sap the energy to make and attract money. Just because you can afford loan repayments, doesn’t mean that you should buy something beyond your means. Taking credit in order to buy a big-ticket item usually means you end up paying more than it’s worth, taking into account the added interest, and it ties you into the expenditure for years to come. And don’t forget that debt stops you from financial progress and hinders your ability to build long-term financial security. Likewise, always pay your credit card in full, otherwise, compound interest works for the lender and not you. In debt? 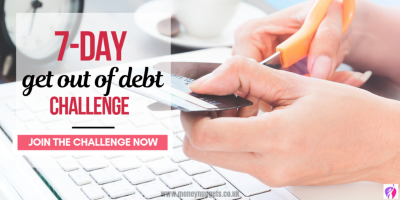 Learn how to pay off debt fast and turn your financial situation around with our simple step-by-step guide! The very same system I used in getting out of £32k of debt in 24 months. One of the most obvious ways to spend less is to cut out any unnecessary purchases. It isn’t always easy, but you don’t have to give up every little luxury. Start by cutting out anything you don’t really use. If your busy life means you don’t have time to watch TV, then you don’t need a cable subscription! Simply go to Netflix and download shows when you want to. Do you really need to subscribe to the Italian Vogue magazine? You can simply visit their website for the same information. Don’t waste your money on things you don’t need, use or you’ve almost forgotten about. The key to financial success is to not go overboard… or be too restricting! If you stop spending money, then you’re likely to splurge when it all overwhelms you. Don’t be afraid to reward yourself with a small treat or the occasional purchase, but make sure that your bank balance is going up rather than down. Always budget for one-off payments. One-off payments, if not planned for, have the tendency to derail your financial goals and cause you to dip into your savings. Give yourself a pay rise by exploring alternative ways to increase your income. Is there something you love doing, like arranging flowers, designing dresses, or writing? 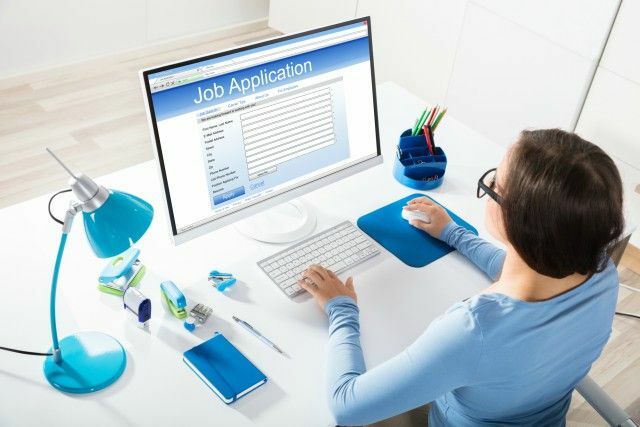 Consider taking up a part-time job at a flower shop, a designer boutique, or starting a blog. It’ll still be your hobby, but you’ll get paid for it. If you have a spare room or couch, think seriously about letting it out. If you’re looking for a long-term arrangement, take a lodger, but you’ll make more money per night if you offer short lets through Airbnb. When you earn a raise, get a refund or receive cash as a gift, put it toward your retirement or financial goal. You already know you can get by without the extra funds, so put them to work for your future. For example, a few years back, I received a £3,000 bonus, which I used to pay down my debt. This one-off payment really helped me lower my monthly expenses by £200. Making just one extra mortgage payment per year can take years of interest payments off and shorten the length of your mortgage if you can afford to do so. 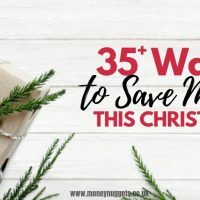 This one of my favourite money saving tips; it is astounding to see how much interest can be saved by simply making one extra mortgage payment each year. Insurance is a key element of a good financial plan. It is easy to lose all the money you have amassed over time without an insurance. Likewise, don’t be over-insured, this is also very costly. Only insure yourself for things you cannot replace, do without or pay for without anguish. For example, car and home insurance protects your assets, life insurance protects your family when you pass away etc. If you start saving at age 40, you’ll need to save twice as much money monthly as if you had started at 30. The later you start, the more you’ll have to save to reach the same goal. Compare this to the sooner you save, the more time the compound effect has to work, and the more interest will grow. We hope these simple money saving tips inspire you to save more and make the most of your money. Share your best money saving tips with us. We’d like your tips on how to save money and stretch our money further. Share with us in the comment box below!